Electronic format. 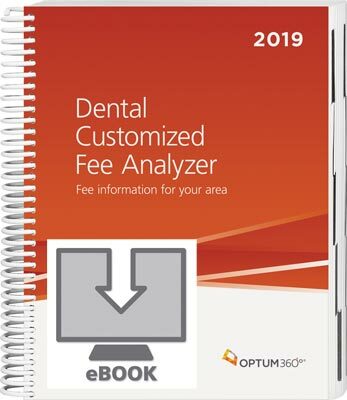 Custom report for Dental / OMS practices by ZIP code for CPT and CDT codes most frequently used in your geographic area. Compiled from database of over 1 billion charge records with 50th, 60th, 75th, 80th and 95th percentiles of charge data. Custom report based on ZIP code you provide. Download link usually emailed in 3-5 business days. Please Note: An email address is required for electronic fulfillment of this product. Please allow at least 3-5 business days for download link to be emailed after purchase. A data profile form must also be completed for software licensing.